With long-term plans to create a viable and profitable business out of the booming start-up sector in India, Microsoft Ventures plans to incubate 500 start-ups in the next five years. Most of them are either start-ups working on Internet of Things (IoT) or independent software vendors that would help in the 'Digital India' and 'Smart City' initiatives. According to Microsoft, there are around 4,500 tech-based start-ups in India. Microsoft Ventures, a global initiative to help and incubate late-stage start-ups, has seven accelerators globally in Germany, China, the US, the UK. In India, it has one in Bengaluru. According to Steve Guggenheimer, corporate vice-president of Microsoft's Developer eXperience and Evangelism, Microsoft Ventures India helps around 20 start-ups in a year. "If you add three partner accelerators we work with, the per-year number goes up. We get applications from 1,000 start-ups in India alone every year," he said. 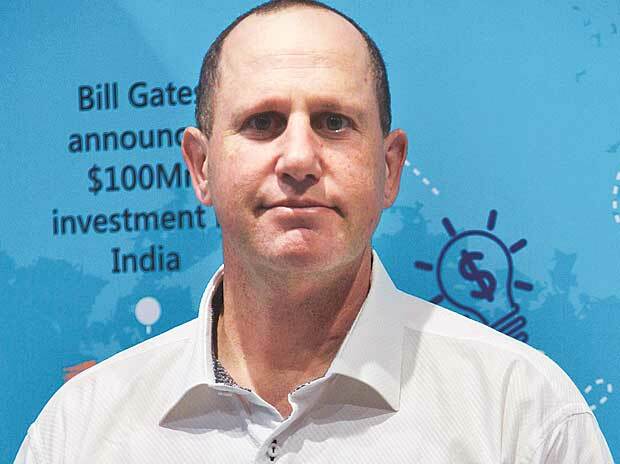 Guggenheimer said most start-ups Microsoft is working in India are working in the IoT space. "One of our main objectives is to build good ISVs (independent software vendors), build software for smart cities for India and outside of India. Several of the states have already reached out to us for Smart City projects." Microsoft is also working with start-ups that are working in the fields of sensor technology, infrastructure for transportation, water usage, medical care, emergency response, and air quality, among others. In the long run, the company plans to organise meet-ups of start-ups with various state government so that it can work together on 'Smart City' initiatives. The company plans to work with the start-ups being incubated in their accelerator programme in the near future and hopes to turn them into customers. "In the short term, start-ups are not important in our growth and expansion. In the long run, some of them would be successful. Part of what we are doing is build a good relationship with next-generation leaders and software developers of companies who will be customers at some point of time," added Guggenheimer. According to Microsoft, India is the third largest start-up ecosystem in the world and the fastest growing. It recently opened an office in San Francisco called The Reactor, which is a space used as a touchdown point for alumni from the accelerator programme. It was opened in mid-October this year.